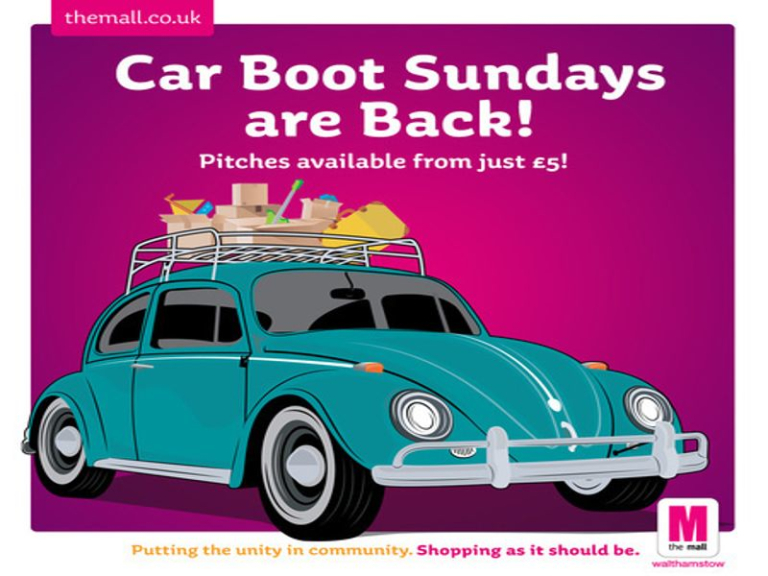 The Mall Walthamstow's Car Boot Sundays are held in our (indoor and weather-proof! Lower Ground Car Park on the last Sunday of each month, from 11am - 2pm! Pitches available from just £5! On the last Sunday of each month, we transform our Lower Ground Car Park into the venue for Car Boot Sundays! Guaranteed to go ahead, whatever the weather, come down and join us from 11am to 2pm! Pitches are available from just £5 - to take part as a seller, all you have to do its visit the Mall Management Suite in person, or call on 0208 509 0016 (10am-5pm), and register your interest for a pitch on one of our dates. It's £5 per pitch, and our colleagues will be happy to answer any further questions you may have!